Now that fall is officially here, I'm very excited about re-acquainting myself with deep, dark lip colours. (Mattes, reds, purples, how I've missed you!) Evidently MAC feels the same way because they're rolling out some beautiful new shades this season, shades which I can finally share with you now that the embargo's been lifted. 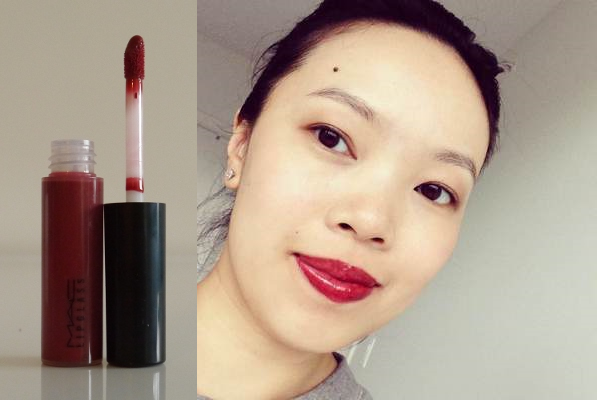 Here's a look at three captivating reds and a bewitching plum you'll want to add to your lipstick collection, stat. 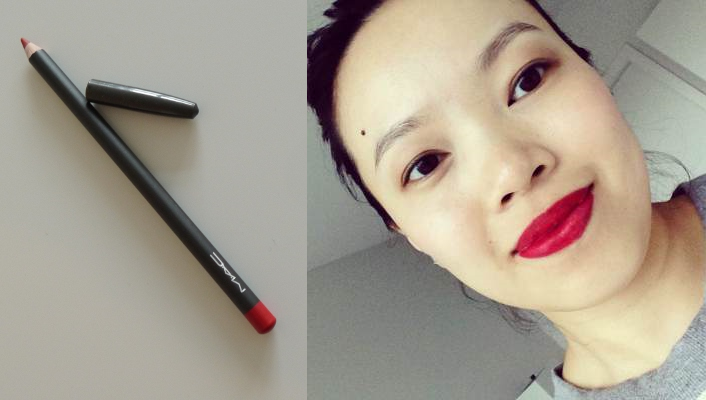 MAC Lip Pencil in 'Cherry' ($18) is just the sort of bright, matte red I adore. Mesmerizing and intense, it brightens up the entire face and evokes classic movie star glamour. Great for fair skin tones, and the fact that it's a creamy pencil makes precise application much easier. MAC Viva Glam I Lipglass ($18) pays homage to the first VIVA GLAM lipstick in Lipglass form. This glossy, pigmented formula is more liquid lipstick than lip gloss and feels great on thanks to the moisturizing jojoba oil. And speaking of the first VIVA GLAM lipstick, it's back! Viva Glam I Lipstick ($18) is the original burgundy red inspired by MAC VIVA GLAM spokesperson RuPaul, this time dressed up in flashy red chrome. If there is such a thing as a universally flattering red, this one comes very close. 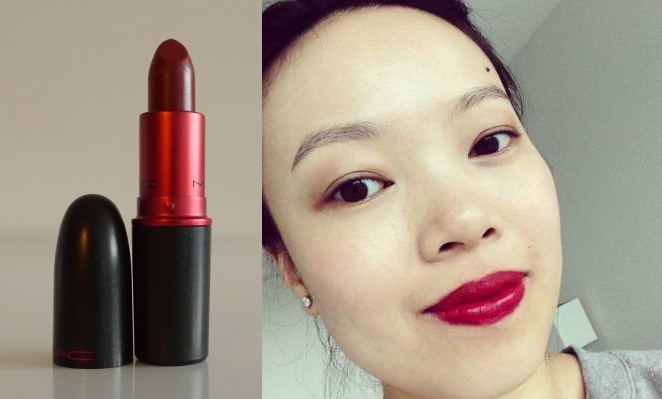 Same signature MAC bullet-shaped lipstick tube and vanilla-scented formula. MAC Mineralize Rich Lipstick in 'Lush Life' ($26) has re-ignited my love affair with plum lipstick. This cool purple is a tad lighter than Tom Ford 'Bruised Plum' and the finish has a slight sheen. I love how it feels on the lips (almost like a lip balm), the ergonomic tube, the magnetic cap, and the way the bullet's cut (easy to get a precise lip line sans brush). Bonus: The cool tones make teeth look whiter. Which colour would you wear? Ooh that lip pencil looks gorgeous. 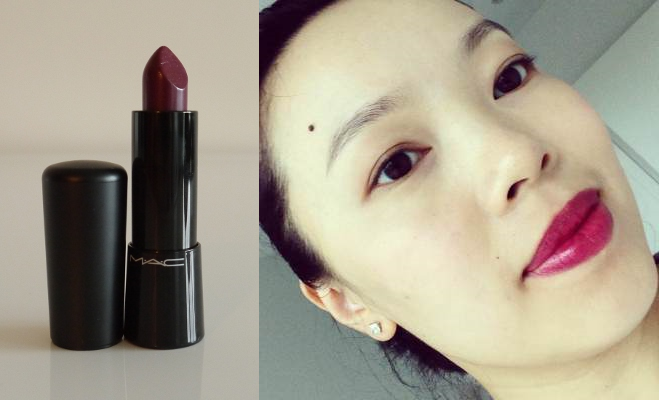 My usual red is Russian Red from MAC, but I've been looking for a slightly darker shade for Fall. I'll have to check these out!